Ricardo is a leader with over 17 years experience in Robotic Process Automation, Transition & Transformation, Change Management, Business Process Management, Analytics and IT Service Management. 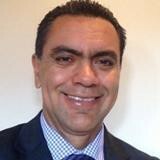 Ricardo joined Western Union in 2013 as Director, Business Process Management. He is head of RPA based in Costa Rica, and previously, he worked as Business Intelligence Program Manager at IBM and Business Support Controller in Dole Food Company. Ricardo is a Systems Engineer, practitioner and accredited expert in ITIL, Project Management, Lean, Six Sigma, Scrum and RPA with strong ability to use the right method to resolve a given business problem.